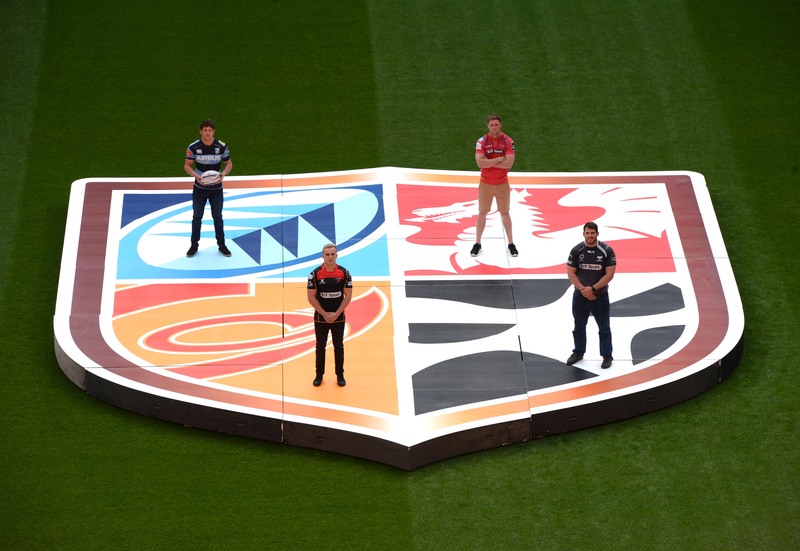 This past Saturday saw the sixth edition of Welsh professional rugby's 'Judgement Day' event take place at the Principality Stadium, with all four sides in action across two Guinness Pro14 games. As the dust settled on another day at the Stadium, debate was again fierce about the future of Judgement Day and it's place within Welsh rugby. This year though, it is particularly prevalent, with the contract between the WRU and the professional sides regarding the event coming to an end after next season. So, what does the future hold for Judgement Day? Well, to the disappointment of many, I don't think we're going to see the end of this day out at the Principality Stadium any time soon. Although in an ideal world we would face the Ospreys in front of a packed out Cardiff Arms Park, there are just too many reasons for Judgement Day to continue beyond the end of the current contract. For the last three events the attendance has been over 60,000, which is an increase of around 30,000 on sold out Arms Parks and Rodney Parades, no doubt exposing supporters to professional domestic rugby in Wales who otherwise would not have attended a game at the regular grounds of the respective home teams. It also gives the players experience of playing at the Principality Stadium, in front of a much larger crowd than usual, to prepare them for that step up to international level rugby. There is one overriding reason for continuing with Judgement Day though and, unsurprisingly, it is financial. With profits from the day split three ways between the Welsh Rugby Union and the two home teams, the suggestion is that Cardiff Blues pocket considerably more money from Judgement Day than we would do from even a sold out Arms Park. In this cash stricken world of Welsh rugby, any extra funds are more than welcome. However, that's not all to say that everything is well and good with Judgement Day as it is, and there are a number of aspects to the event that must be improved when that contract is re-negotiated in the next year. All of the noise from the WRU and media after Saturday would suggest that the day was a success and, looking at it as a singular day in terms of the attendances and finances, then you would be inclined to agree. Judgement Day could be so much more than one partially successful day though. The first thing they have to get right is the treatment of the regular fans. Those of us who purchase a season ticket do so on the basis of having 10 or 11 home league games a year that we would like to attend, yet for many they'd rather not head to Judgement Day. Now, issues with the general behaviour of supporters are the Principality Stadium are well documented. People not watching the game, getting up and down while play is ongoing and those too drunk to care about those around them are all ongoing issues that the WRU are addressing. Specifically, for Judgement Day though, there are two main problems; atmosphere and seating arrangements. Starting with atmosphere, and although 60,000+ tickets are sold at the stadium, there are probably only around 35,000 people watching each game at any one time. On Saturday, many supporters of Cardiff Blues and Ospreys were still in the pub during the first game, while Dragons and Scarlets supporters left before the second game. It would be an improvement to have the ground as busy as possible all afternoon, and while some people will never be in the stadium for both games, food deals and better between match entertainment and a shorter delay between games would go some way to providing a better whole day experience. Then there's the ticketing. Now, this is entirely subjective of course as some people do enjoy the lower tier, but I would rate it as up there with one of the worst views in any Northern Hemisphere rugby stadium. On the flip side, the middle tier, and even the front of the upper tier, at the Principality Stadium is arguably one of the best views in world rugby, so why can't terrace season ticket holders at the Arms Park be offered the choice of where we sit? The check of a box when renewing season tickets, or a season ticket holders only portal online, it would not be difficult to treat us with some respect. Yet we are left to fight it out in unreserved lower tier seating in a 'that'll do' type arrangement., which is really not good enough for those of us who support regional rugby week-in, week-out. Aside from the treatment of spectators though, there is one other aspect of Judgement Day that requires change if it is to become a success. Fortunately it has come into focus after Saturday's event, unfortunately though it has come into focus for the wrong reasons. Saturday was the official end to the regular Guinness Pro14 season, and as such, there was very little on either game. In league terms, Scarlets required a win over Dragons to secure a home play-off quarter-final, but that was rather a formality, while only momentum was at stake in Cardiff Blues' fixture with Ospreys. It is these dead rubber derbies that has launched the voice for a change of date, however it should be the long-term impact of Judgement Day that did such a thing years ago. For the previous three seasons the Cardiff Blues fixture at Judgement Day has been our final 'home' fixture of the season. Therefore, should an 'eventer' be inspired to watch us more regularly having attended the Principality Stadium, they would have to wait over four months to do so. In that time the likelihood is that they would have forgotten all about us over the summer, and as such our weekly attendances have shown no change on the back of Judgement Day. Of course, with fixture scheduling such an issue in our packed out calendar, moving the event to another part of the season could be a problem. November and February/March are off the table due to internationals, mid-late October, early December and early-mid January aren't do-able due to European action, while we are more often that not without the main attraction of Judgement Day, Welsh international players, in the first two or three weeks of the season. For my money though, there are two chances to shift Judgement Day to an earlier slot in the season, either side of that first European block of fixtures in October, where Welsh derbies have already been staged in recent years. Hosting the event at this time would not only give it a greater chance of increasing the attendances at the four professional teams but would also be beneficial to the Welsh Rugby Union. It's international players would get a feel for the stadium and a full intensity game with the Autumn Series just around the corner, while the WRU would get the chance to advertise tickets for those games which invariably fail to sell-out these days. Judgement Day in it's current guise can be spun as a positive for Welsh rugby, there is no doubt about that, but the re-negotiation of the current deal between the WRU, Cardiff Blues and Dragons can make it an unqualified success. Let's ensure that the supporters' voice is properly heard in these discussions, and make Judgement Day a true success as the flagship event for regional rugby in Wales. As a Cardiff season member I hate it, the lack of atmosphere, the poor seats (who does get the good ones? ), the drinking culture and the lack of home advantage. However to my surprise when talking to the players whilst in South Africa, I discovered that on the whole they enjoy it. Anyway you have to be realistic and accept that for commercial reasons Judgement Day will almost certainly continue, I think though that we should demand a change in the aspect of " home teams". Regardless of where it is located the Proncipality is our national stadium and loss of home advantage should be alternated between East and West.